I'm using QGIS 2.18. The screenshot below shows the print composer. At the moment, the only way I can reduce the size of symbols in the print composer is to reduce the size of the symbol on the map. In the attached, the green star symbol in the print composer legend is huge. 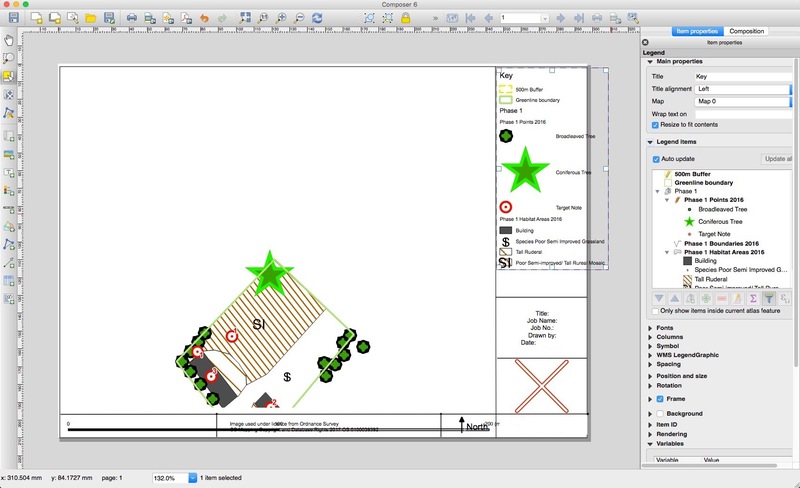 How can I reduce the size of the green star symbol in the print composer legend, but keep the size of the green star the same on the map? Not the answer you're looking for? Browse other questions tagged qgis symbology print-composer legend or ask your own question. Is it possible to change legend symbols in the QGIS print composer legend? Creating QGIS legend showing different size points from set scale field? Freezing legend on map composer so that it stops updating when changing symbols on map?